We have posted our collection of original Civil War Harper's Weekly newspaper on the WEB to assist you in your studies and research of the war. These newspapers allow you to see the war unfold, and read the reactions of the people who were there at the time. We hope this effort serves as a valuable resource for your studies. 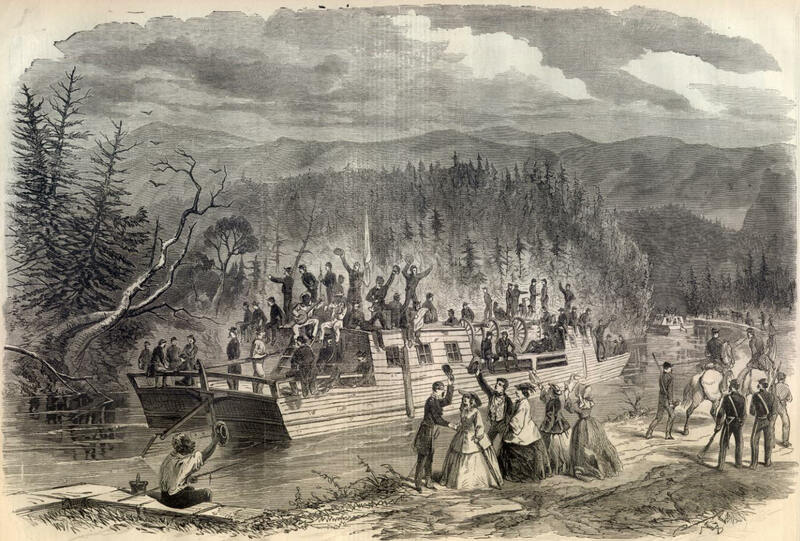 Lincoln Orders: "Don't Free Slaves"
VIEW ON THE JAMES RIVER CANAL, NEAR BALCONY FALLS.-REBEL TROOPS GOING FROM LYNCHBURG TO BUCHANAN, ON THEIR WAY TO WESTERN VIRGINIA.